Starting a new school year is like setting off on a expansive hiking expedition. Many of us are in our prepping stage: getting out our dusty gear, charting and mapping our course, and acquiring new skills for the journey. In the realm of research and information literacy we serve as guides to our faculty and students touring them through the current media landscape. Additionally, many of us strive to create a space where students can find shelter and learn new independent skills. 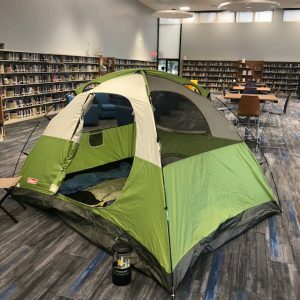 Recreation, restoration and reflection—essentially, we all want our students to “camp out” in our libraries. This is the metaphor we are embarking on in the Jean Ann Cone Library at Berkeley Preparatory School this year. We are getting campy in the library. We have pitched some tents, gathered gear, and planted a paper forest. It is fun to physically construct displays, but it also serves the purpose of tethering the mind to a focus for the beginning of the year. While we hope to allure and delight our students when they see this first display it helps us convey important concepts we want to provide our students. 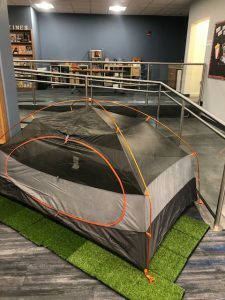 While this conceit has the librarian as the guide for students in the camping metaphor it can emphasis the importance of a team integration to a successful summit. One of my favorite aspects of being a librarian is working alongside the core subject teacher, the technology department, and other specialists to show students that their guidance comes from different sources and that it is a team effort. This in turn models collaboration for them when they have group projects. Additionally, the whole library staff is another part of the expedition and support team. I am lucky to have a creative and supportive team around me sharing in ideas and tasks. Students know we are all here to help them. “Don’t lose sight of the forest through the trees,” an apt cliche for describing the complex process of research. As librarians we are tasked with breaking down the cognitive load of this multifaceted process. Our maps take the shape of our standards and curriculum guides. At our library we are in the process of looking at the new AASL standards to reflect on our program and incorporate new educational trends to our current program. Pedagogical models like “guided inquiry” underpin the scaffolding of information literacy that bolster student inquiry so students do not feel like they are lost in the dark. Librarians have a keen sense of direction in the information world and our analog compasses now have a digital GPS counterpart. From websites and databases to apps and “smart” devices there are many tools and gadgets at our disposal. Analogous to our readers advisory many of us also impart a “users” advisory by recommending new apps, software and interactive websites. I always like to review AASL’s Best Tools for Teaching list to peruse new tools I can tinker with and share. A Libguide or library website becomes the virtual campsite for digital adventures in which we chart the course for the learning task. I also seek personal tools to improve my own practice and productivity. To help me stay organized this year I am adding two apps used in combination to my repertoire: Swipes and Forest. Swipes is a elegantly designed to-do list app in which you either swipe right for a completed task and left for an uncompleted one to schedule. It helps me take action for the things I need to get done. Once I’ve decided on an action I use the Forest app to help me focus solely on that task and to clear distractions. Forest uses a fun premise to help you ban multitasking. You set an internal timer for a task and the app grows a tree. The more focused you stay the more trees for your virtual forest and eventually you get credits to buy real trees for reforestation efforts. You can’t get campier than that in an app. The beginning of the year is a great time to try new apps and build new habits so that you can share your discoveries with others if you find them useful. To see the distances covered builds confidence and courage for more challenging tasks. Just as classroom teachers mark progress librarians also have assessment tools for students to check their growth in research. These go beyond simple number counts of circulation and database usage. Our research checklists and templates give students ways to reflect on their learning process. Scheduling research consultations give a more nuanced feedback to the complexity of research work. For our own growth when we are able to make multiple visits and check ins with classes we can see our own patterns of influence in the learning experience for students. Finally, it is the most rewarding aspect of librarianship-building community and wonder. 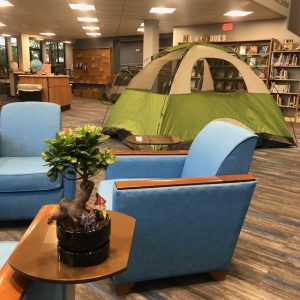 It is the small acts of kindness and welcoming that creates the campfire moments in the library. Knowing a student’s favorite genre and hand picking a book for him or her. Involving student choice or leadership roles in the library fosters bonds. Creating creative corners or makerspaces expands the types of intellectual work students can do in the library. Our upper school librarians share treats with a class at random times surprising and delighting the students. These offerings show students a different side of librarians; their fun and thoughtful spirits. Many students are drawn to the aesthetics of a library. All those spines lined on the shelf offer endless opportunities for wonder in our world; whether, it be a history book that delves into new found fascination with a time period or the next book in a fantasy series. I am always in awe when I walk into any library. All the books on the shelf capturing the broad spectrum of human knowledge is both humbling and sublime. 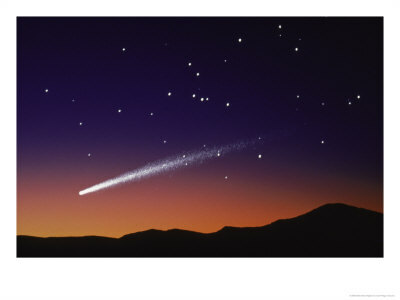 It is like star gazing at the constellations of our collective conscious; but here, they are always in arms reach. The first comes out of one of the roles I play at TCS: as advisor committee coordinator, I see the incredible things that some of my colleagues are doing with their advisees. While I have a great relationship with current and former (meeting two of them for coffee tomorrow!) advisees, comparison can make me feel like I don’t always measure up. This is completely applicable to my work as librarian, so my chosen mantra for 16/17 is from my current ear worm, Let it go: thank you James Bay, for suggesting that “you be you and I’ll be me”. On it! We are so very fortunate to have a beautifully and functionally renovated space within our new Cirne Commons, so I was quite surprised to find myself having trouble with the transition last spring. Who would not love and be eternally grateful for such a beautiful library?! I do love it, and I am grateful – but the kids use it differently, and more quietly. Which freaks me out – ironic, huh? Having regained my equilibrium, I pledge to embrace the changes & identify opportunities inherent in this new space. Finding challenge and fulfillment in so much of my work does not give me the right, or the excuse, to try and do it all. I have two enthusiastic, more-than-capable and willing colleagues in my senior school library who are eager to take on pretty much anything. So I will share the wealth and delegate more. All the best to those of you who are already in full swing, and to those who are just gearing up! David Wee really hit the nail on the head this spring when he admitted that He doesn’t always feel like he knows what he’s doing. I can’t believe that I’m entering my 10th year of librarianship. I’ll still leave conversations with professionals talking about what “the adults” are saying. 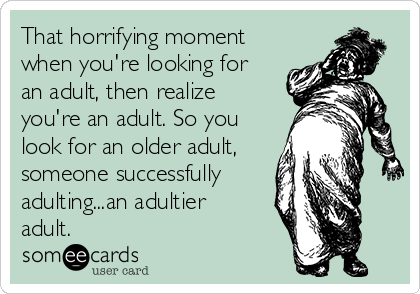 My colleagues have repeatedly reassured me that, yes, I’m an adult too, but I never woke up and said, “Henceforth I shall be known as a professional adult.” When a friend posted this on Facebook, I couldn’t have given it more thumbs up. Over the last few months, I queried some teachers and librarians who have a few years experience and asked them for the most practical tip they would have liked their less experienced selves to have known. I loved their answers and found them timely as we’re planning our new year back at school. You’ll notice there’s a theme with the first few….keep reading. Remember back to the Grimm tale Rumpelstilkskin and the power of names. This works when kids are testing the boundaries on the library as an afterschool game space and also encourages them to participate more in class. It’s an all-around win. As a librarian who teaches more skills than content, this is totally applicable. If you listen to your students talk about their interests, there are natural connections to information literacy. Sponsoring a club, attending a game, and watching a theater performance all lead to better connections with students. This honest wording makes me laugh. Let the kids know your interests and maybe some information about your pets or your hobbies. I bike to school; it’s a conversation starter. In practicality, it also means that my search examples might change from first to fourth period. Since you’re not a robot, you can personalize each class a bit based on student comments. The teacher who told me this stressed that he loves watching master teachers teach. But he felt like he was filling a role his first year trying to teach the ways they did. It was much better to take a step back and think about the goals they had from teaching a lesson a certain way and how he could achieve those same goals. If something is a horrible abysmal failure, sure you can write it off and never try it again. But if it’s a lesson that was well planned where something went amiss in the execution, don’t be afraid to try the same lesson with a different group. There is so much beyond your control, especially when you’re working with multiple classes and grades each day. Even now, it’s magical to me that the same lesson that’s genius with one group falls flat with the next. So true, and yet it never would have occurred to me to share this with a new librarian or teacher. If you are working with a class that’s new to you, questions may go unanswered. This is natural, especially with teenagers. You can reframe the question to let them puzzle through, but keep trying. As you work with the same group, they’ll get more comfortable talking and you’ll be more comfortable with the silences. Love this! I wrote the library scope and sequence for grades 6-12, so I know who learned what when. That doesn’t stop students from claiming something is new. Keeping in mind the ultimate goal of teaching students to be information literate, smile and repeat. And smile and repeat. Students access library materials all hours of the day and night. Give them the tools to succeed in their searches whenever they occur by providing guides that let them know how to access electronic resources even when you’re not around. Cannot second this enough. You spend very little of the day standing silently in front of a mirror. What does your clothing look like when you do your job? Being able to walk easily at the end of the day should be standard. When you work with high schoolers, there is SO MUCH going on in their worlds. They’re applying to colleges, interested in dating their classmates, pumped for an upcoming game, worried about the test they just took… At our school, the students love Homecoming week and the daily spirit and costume competitions, but they only have so much energy to give. Pressure is high and tears happen. Coincidentally, teachers know that this is a week of distraction and thus love to schedule library time. It’s one of my busiest weeks. Thinking back to library skills, when you’re able to tie your lessons into their worlds, teens are much more likely to remember. But some days there’s just a lot happening. Those are ten to start you off. What are yours? Think back to what you’ve learned over the years and the advice you wish you had heard. Share your favorite in the comments below, and let’s make this a great year for librarians new and old experienced. Happy back to school! I serve both middle and upper school students, and in what I suspect is probably an unusual arrangement, the two populations do not have schedules that mesh neatly on any given day. Neither are school policies exactly alike for both groups, which is as it should be – there are a lot of differences between 12 and 17. I’m the only librarian here: no assistant, no clerical help, just me and my trusty barcode scanner. What this means for me is that I am often in the position of having to decide where I should be at what time, and who I will have to neglect in the process. Until cloning is perfected, there isn’t a way for me to divide myself when I’m needed at two meetings at once, for example. So, how to serve all masters at once? It’s complex, but so far I managed to make most people happy. I did as much maintenance at home as I could before school started, such as updating patron files or tweaking our library page, to free me up and make me feel less frantic. I entered every single meeting into my calendar to see where the overlaps were and contacted all relevant people well in advance to alert them to my conundrum, and also frankly to avoid inadvertently offending anyone with my absence – everyone likes to believe his or her meeting is the most important one of the day, after all. In plenty of cases, one or more parties stepped back and let it be known that one meeting was less important than another, or that my own preference could guide me. In the end, I chose to attend what was most informative to me and where I could be the most helpful. As far as I can tell, this worked but it was indeed the product of careful, thoughtful management and planning. As well, I created a library page strictly for middle school students. Last year all library services were parked on a single page and it felt somewhat strangulating to introduce the library and then immediately tell them what they couldn’t use; for example, we only buy Questia for upper school students, but there it was, teasing them. Instead I set up a page only with materials available to sixth through eighth graders, and it seems much more welcoming and useful. I am pleased to say that the result is a satisfied faculty in both divisions: they know my schedule presents certain exigencies but that I am committed to serving their needs and will find a way to do so . 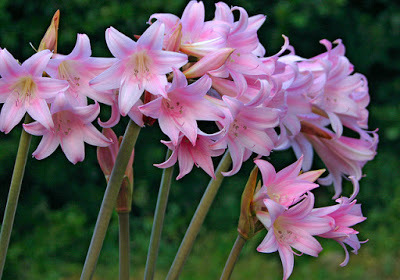 . . even without cloning.